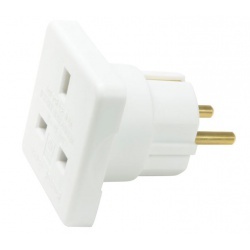 Allows you to add an additional Telephone Socket or Broadband point anywhere in the home. Joins existing telephone lead to new thelephone extension lead. 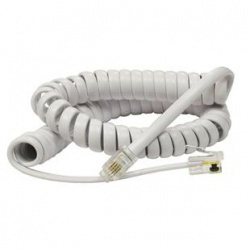 Replace tangled or broken telephone handset cords. No installation or wiring required, takes only minutes. Insert smaller plug into handset of telephone and larger plug into base of telephone. Curly cord is Black in colour. 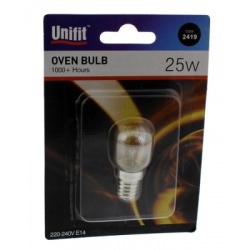 This bulbs has been specially designed for cooker hood use, it is vibration proof and has optimal light distribution. The small but powerful 9 LED Pocket Torch is compact and ready to use. This Torch has a strong beam, powered by 9 super bright individual LED Bulbs. It has high intensity LED Bulbs for bright and efficient directional light. The 9 LED Pocket Torch is ideal with a wrist strap for use when walking, running or any outdoor activities. The Torch is weather proof and is small enough to fit in your pocket or handbag. 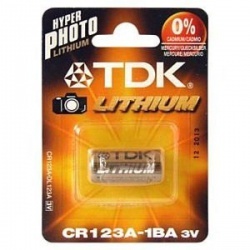 There is no need to purchase batteries as it comes with 3 x AAA Batteries included. The small but powerful 9 LED Pocket Torch is compact and ready to use. It has high intensity LED Bults for efficient directional light. Wrist strap included for use when walking,runnign or any outdoor activities. 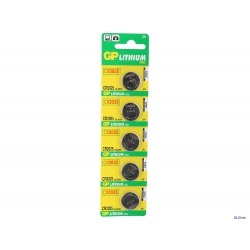 Weather proof and small enough for your pocket or handbag. 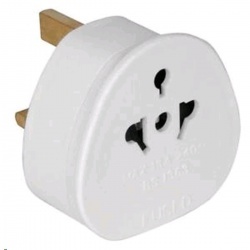 A mains adaptor to allow items fitted with a standard UK 3 pin plug to be used in a European Schuko socket. 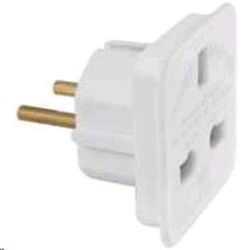 An essential piece of equipment when travelling to Europe on holiday or business. Duracell Plus Power D batteries – long lasting power guaranteed. These multi-purpose batteries are ideal for reliably powering everyday devices. Duracell Plus Power batteries give you the freedom to enjoy the use of your appliances by giving you a product you can rely on. 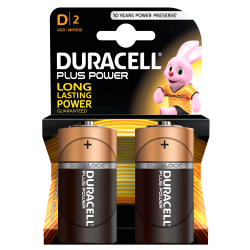 The Duracell Plus Power batteries are best used when you are looking for reliable, long-lasting power in your every-day devices such as motorized toys, flashlights, portable games consoles, remote controls, CD players, etc. Duralock technology keeps unused Duracell batteries fresh and powered for up to 10 years in ambient storage.